Eileen Fisher is looking for talented individuals with interest in the world of fashion to join our team at our Water Tower Place retail store location! Position Summary: As a Sales Associate you are responsible for the areas of customer service, sales, store merchandising, and general store operations. 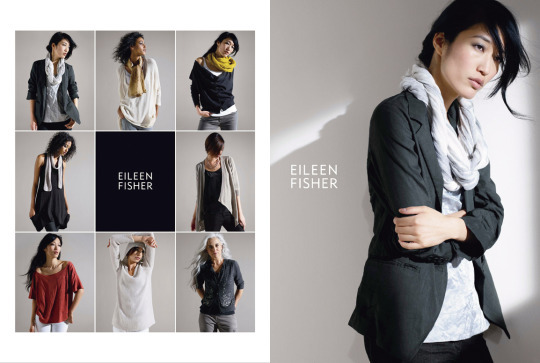 Practices: As a Sales Associate you are aligned with the EILEEN FISHER Mission and Practices. You contribute to an environment that inspires your best work individually and in connection. You apply passion and creativity, skills, and strengths to the work you do. You nurture growth in yourself; seeking to know yourself, be yourself, and embrace your authentic style. You listen and respond openly and with respect to your store team. You actively infuse the work environment with an atmosphere of possibility, positive energy and a spirit of play. •	Be fully knowledgeable about EF apparel and fabrics. •	Provide excellent customer service. •	Maintain and expand personal customer book. •	Maintain high level of initiative, motivation and self-direction. •	Embrace technology and be open to new learnings. •	Perform merchandising duties: steaming, hanging, folding, and displaying products according to high standards of sales floor. •	Use creative approaches to engage the customer with the product; illustrate how to wear the clothing and explore different options. •	Assist with checking stock daily and restocking when necessary. •	Perform open and close out procedures as needed. •	Ensure and contribute to a safe and clean store environment. •	Enthusiastically contribute to other tasks and projects to keep the store running at its best.